Wildlife Crime: Is this the end of canned lion hunting? 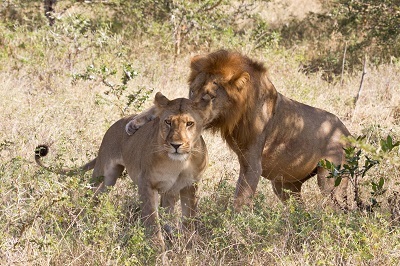 Canned lion breeders and supporters were outvoted 147 to 103. European Parliament members recently were showed the film 'Blood Lions'. As a consequence of this, the UK government has decided to meet next week for a full debate on the conservation status of lions, including the role played by all forms of trophy hunting. Well done Ian Michler, who made the documentary. The man is a wildlife hero. Let's leave lions in peace and hope they multiply.